-Your choice of standard silk wrap colors of red, green, black, or orange tipped in black. Other colors available at no extra charge. -Hard chrome snake style line guides, chrome stripping guides & plain nickel-silver winding check. -Top quality cork grip hand shaped in my shop from premium cork rings. All grips are standard cigar shape. - All standard reel seats are down locking & available in a slide-band or screw-locking style. The standard wood spacer is walnut. The hardware is made from high grade aluminum. 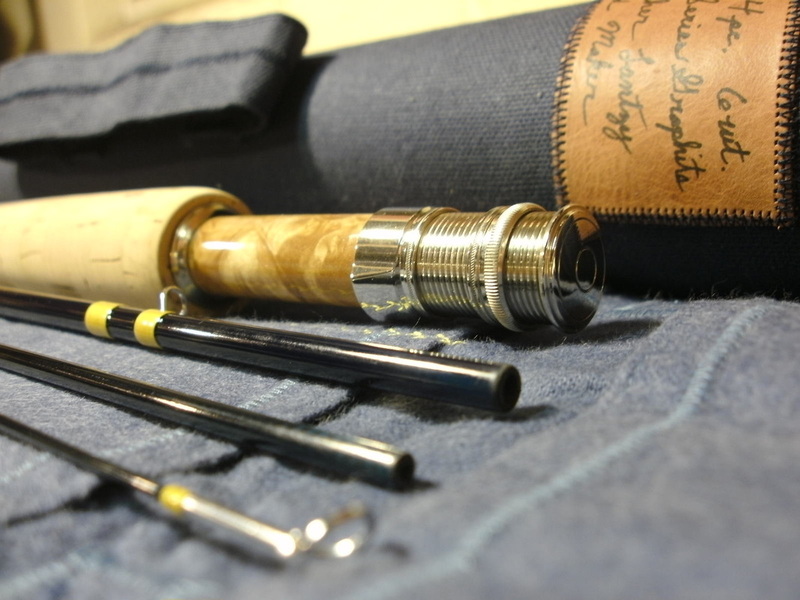 - All rods come in a cotton flannel rod bag & a custom duck-cloth covered pvc rod tube. As an upgrade option,your rod can also come in a traditional aluminum tube with brass end caps for a small additional cost. - Every rod comes with a personal inscription. 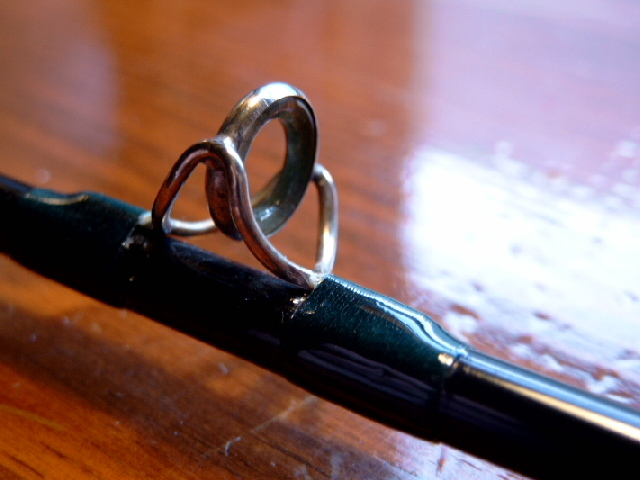 Each rod will have the maker's (my) name, line weight & rod length, & a serial number on one side of the the rod. The other side will have your name or any personal inscription you choose. -Contact me to discuss all other options & prices. 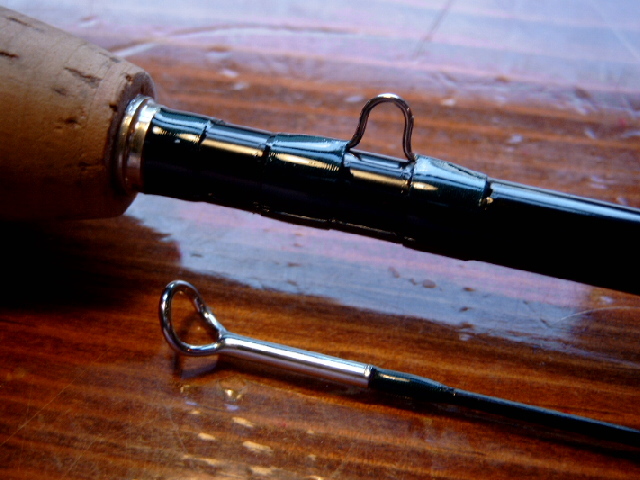 All graphite rods are available in any action (fast, moderate, or slow) that you want. 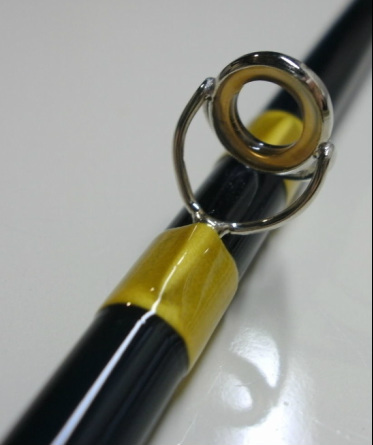 The blanks used to make the rod will depend on what you want & to meet your fishing conditions & situations. 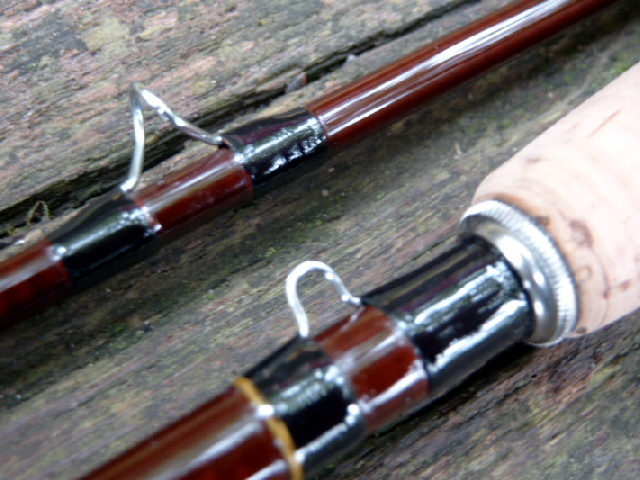 As a result, colors of the rod blanks vary depending on the rod you choose. I scour every available source of USA made fly rod blanks to make your rod. No matter what rod action you want, these custom graphite rods load & unload the line very comfortably, making it easy to cast a line with better accuracy. -Your choice of snake style line guides of hard chrome with standard twist or special hand twisted, stainless steel in a reverse “British” twist. -Wraps in any color of silk thread you want. -All reel seat hardware is made from Nickel-Silver & are the finest reel seats available. You choose from many different wood spacers. -The winding check is made from Nickel-Silver with finely detailed knurling around the edges. -Agate stripping guides are standard on all Custom series rods & you can choose between many different colors of stone. 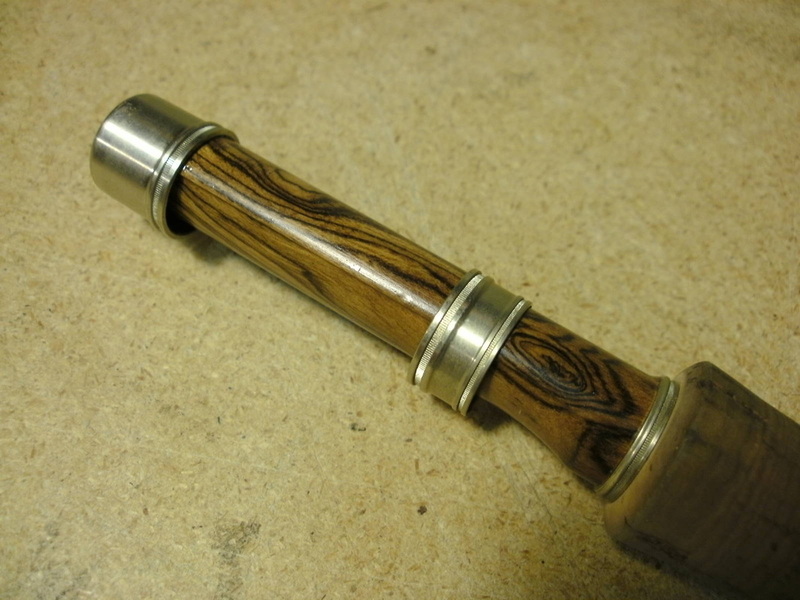 -All Custom series rods come in a traditional aluminum rod tube with brass end caps. 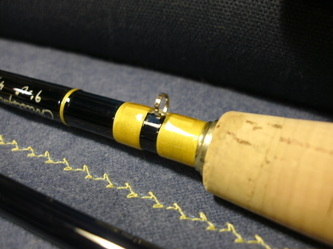 -You can upgrade these rods with anything you want including special reel seats, feather inlays, silk wrap colors, etc. Contact me for other options. 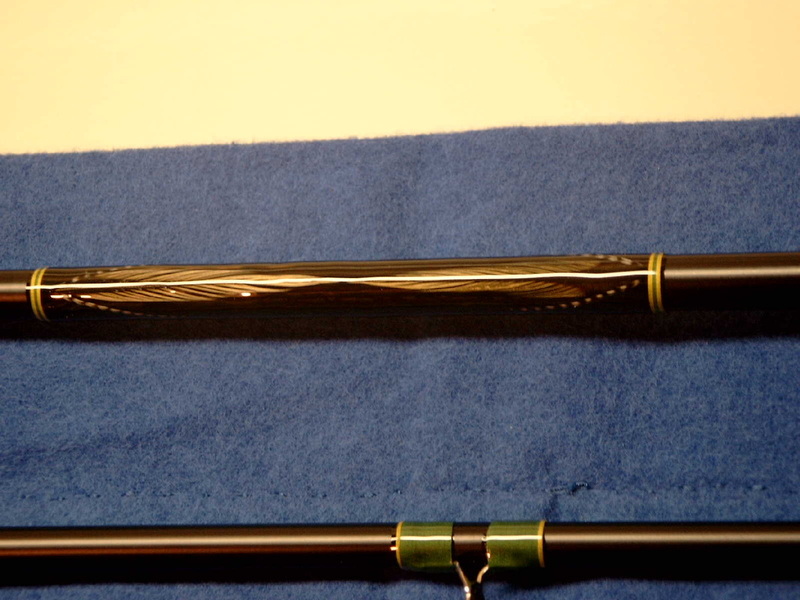 Please contact me to discuss your custom graphite fly rod. 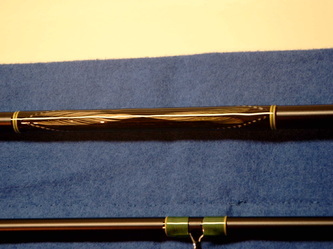 For this rod the client specified that they preferred the action of the Thomas & Thomas Horizon II fly rods, so that was the rod blank we used in making this rod. 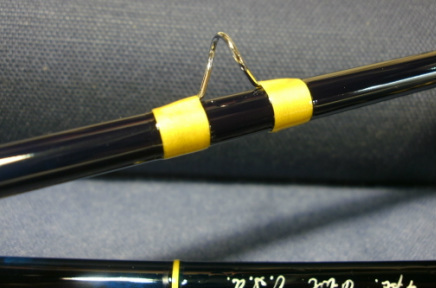 They also requested yellow silk thread throughout the rod to go along with the rod blank's dark blue color. This really helped the wraps to stand out against the rod shafts in a pleasant way. To go along with the wraps, we chose a yellow / amber stone agate stripping guide in a Nickle-Silver bezel. 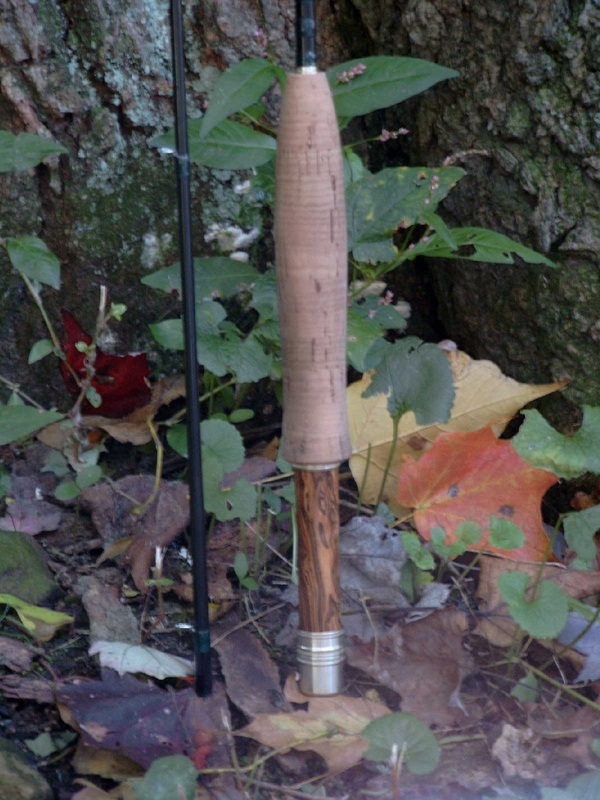 The rod also features an up-locking, screw lock Nickle-Silver reel seat with a gorgeous maple burl wood spacer, Nickle-Silver winding check, & a Nickle-Silver "strap & ring" style hook keeper. (click on any of the two photos below for a larger image). I think the client had a great vision of what this fly rod could be & I was honored to help them make their vision become a reality in a rod that looks & performs great. What do you want your fly rod to be? All rods add $25 for shipping & insurance inside the US lower 48 states. All other locations please contact me for shipping costs. I reserve the right to change any & all prices, materials, specifications, designs, & rod offerings at any time without notice. ​All correspondence with my clients are confidential. All information regarding orders, business transactions, contact information including your name, address, email, phone, etc will never be shared with another party without your permission. I consider my relationships with clients a sacred trust & will never rent, sell, or trade names with anyone under any circumstances.